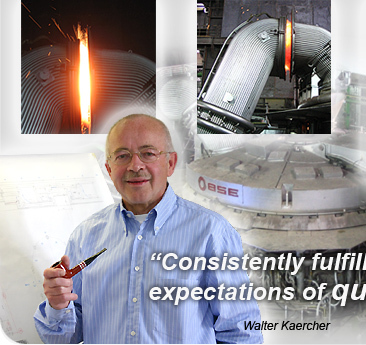 "Consulting and Design tailored to your needs"
For more than three decades, Kaercher Engineering, represented by Mr. Walter Kaercher, serves engineered solutions to the steel industry, especially for EAF operated melt shops. Our success is in delivering high value added Solutions to our clients resulting in operational efficiencies. Today, we focus more on consulting activities as an independent Consultant for our clients. We provide state of the art conceptual engineering using 3D-Modeling, CFD-Simulation of fume gas evacuation systems incl. secondary emission control via canopy hood and last but not least a program that enables us to calculate the entire water flow distribution of complete upper furnace shell, furnace roof with take-off Elbow and water cooled off-gas system. 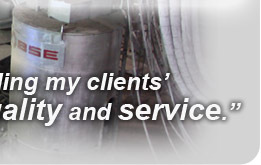 For designing the Furnace evacuation system we use proven calculations taking into account the different EAF operations. As for instance to improve client´s existing dedusting system and in order to make the right decision for further modifications, we take a site investigation to inspect the present emission control system. In close liaison with our client we discuss the best and economical solution. We provide conceptual design including report of our investigation.